Ciné-Dérive: Cinema and New Media Production House founded by Alexandra Handal. Ciné-Dérive (C-D) is an independent production and distribution platform that operates in a creative territory where the Eastern Mediterranean meets the world. C-D is committed to stories of boundless imagination, to socio-political consciousness and to meaningful innovation. It explores evocative ways to chronicle the memories and histories of migrants (refugees, exiles, immigrants) in documentary and fiction. Alexandra Sophia Handal founded Ciné-Dérive to foster cross-cultural alliances and trans-local infrastructures that are necessary to realise film and new media projects that slip between the interstice of genres, medias, languages, disciplines and cultures. Homebaking Design Laboratory (HBDL) is a division of C-D merging design, technology and content. 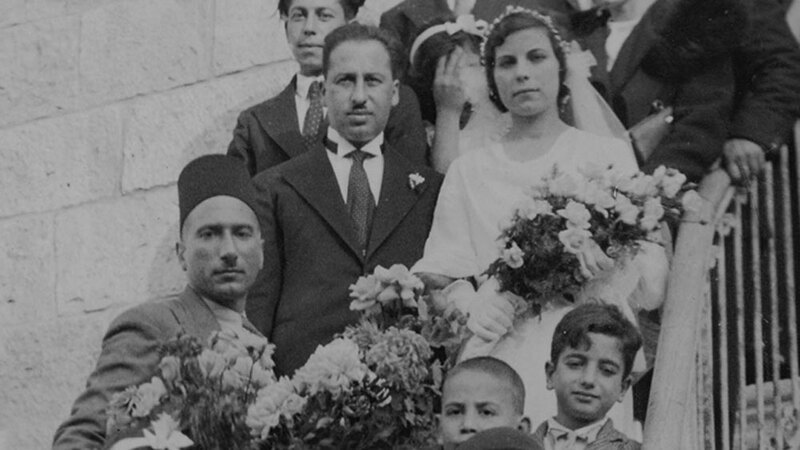 Since 2007, Handal has been conducting original oral history fieldwork with the Palestinian al-Nakba generation of refugees and exiles from West Jerusalem. She used the material she gathered to create the interactive web documentary art, Dream Homes Property Consultants (DHPC), which received praise in diverse fields. It was among the 100 trailblazing projects highlighted in a publication marking the 10th anniversary of IDFA DocLab, a leading platform for ‘undefined non-fiction storytelling and art’. It is the winner of the 2014 Lumen Prize People’s Choice Gold Award (UK) for digital art, the 2015 Freedom Flowers Foundation Award, Second Prize (Switzerland) for art that addresses human rights and was Shortlisted for the 2013 Artraker Award (UK) which honours visual arts practices that respond to world conflicts. DHPC is featured in docubase, a curated database by MIT Open Documentary Lab for ‘people who are pioneering new storytelling’. DHPC was a 2013 Official Selection of IDFA DocLab, Amsterdam and was selected for the 2014 UXdoc, Rencontres Internationales du documentaire de Montreal, Canada. Other festivals and exhibitions that it was included are: Days of Cinema Festival (2016), Khalil Al Sakakini Cultural Center, Ramallah and Institut Français de Jérusalem, East Jerusalem, After the Last Sky Festival (2016), Das Ballhaus Naunynstraße, Berlin, Germany, Oxford Israeli Apartheid Week 2015, Modern Art Oxford, UK, Przemiany Interdisciplinary Festival (2014), Warsaw, Poland, Lumen 100 Online Gallery (2014), UK and Art of Peace (2014), a/political space, London, UK. Her experimental short, From the Bed & Breakfast Notebooks was selected for New Contemporaries 2009, an internationally juried exhibition that showcases emerging artists in the UK. Studio International Magazine (2009) described the film as a 'quietly powerful political engagement' and she was listed among the 'few names to watch' in the Guardian (2009). On the occasion of Handal’s solo exhibition, Memory Flows like the Tide at Dusk (2016) at the Museum of Contemporary Art Roskilde, Denmark (2016) a catalogue was published with contributing texts from William Uricchio and Chiara De Cesari and an interview with curator, Alia Rayyan. Partington and Linda Sandino). She has presented papers at numerous international conferences: Art and Geographical Knowledge at the Royal Geographical Society with IBG, Annual International Conference, Manchester, UK (2009), the [Record] [Create]: Oral History in Art, Craft, and Design at the Oral History Society Annual Conference in association with the Victoria and Albert Museum London (2010) and the Art and Resistance Conference organised by Dar al-Kalima University, Bethlehem, Palestine (2016). Raised in the Palestinian global diaspora, artist, filmmaker and essayist, Alexandra Sophia Handal was born into a Bethlehemite family in Port-au-Prince, Haiti in 1975 and spent her adolescence in Santo Domingo, Dominican Republic. Her personal history is shaped by intergenerational and transcontinental displacements across diverse geographies. Since 2004, Handal works between Occupied Palestine and Europe, spending the first ten years in London, subsequently moving momentarily to Amsterdam before setting-up her atelier in Berlin, where she resides with her family. What have I forgotten to tell you?